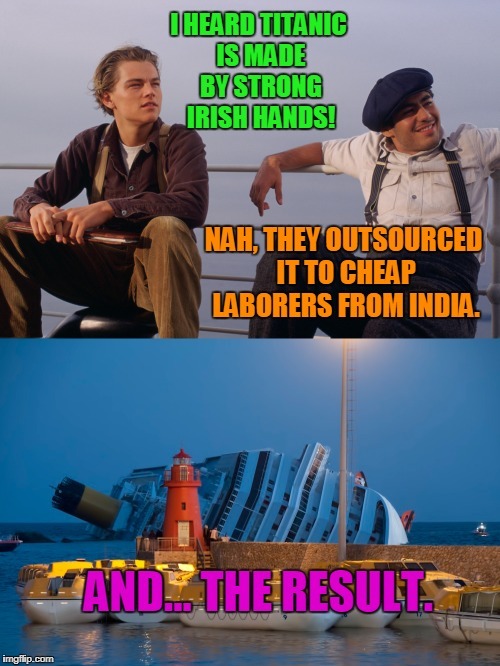 I HEARD TITANIC IS MADE BY STRONG IRISH HANDS! NAH, THEY OUTSOURCED IT TO CHEAP LABORERS FROM INDIA. AND... THE RESULT.